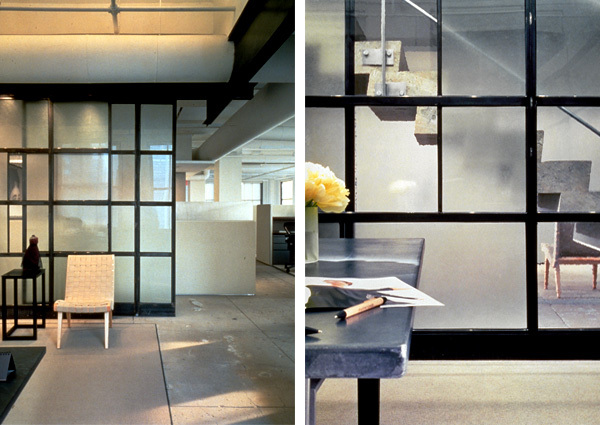 Built as a fast-track project, the 6,000 square foot showroom and main New York City office space for this women’s clothing designer includes a runway for seasonal shows, theater-quality lighting and acoustics and an easily modified array of partitions and furniture arrangements. 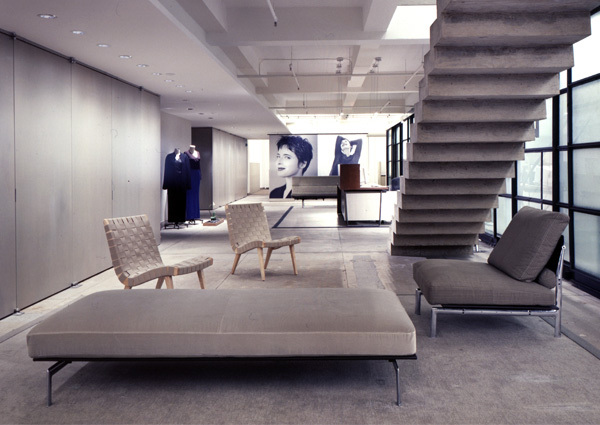 To meet its expanding business needs and give identity to a company with the strong core values of "simplicity, creativity and delight through connection and great design," Eileen Fisher moved into this new showroom. Ms. Fisher is known for using striking natural materials and incorporating their essential qualities in her garments, from how a fabric drapes to the layering of different translucent materials. Building upon this idea, steel casement windows, cast-iron radiators and concrete floors of the original building were exposed, recognizing the inherent qualities of the building. 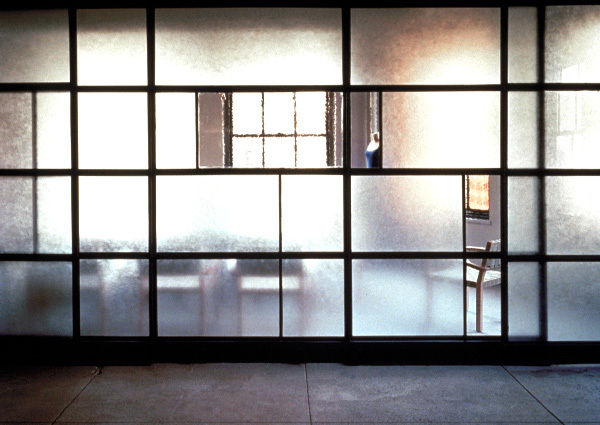 The existing building core was stripped back and reconfigured as a dense agglomeration of infrastructural elements, and the excavated perimeter spaces, organized by a moveable translucent wall and scrim panels, were left as containers of controlled light, creating an industrial loft space. 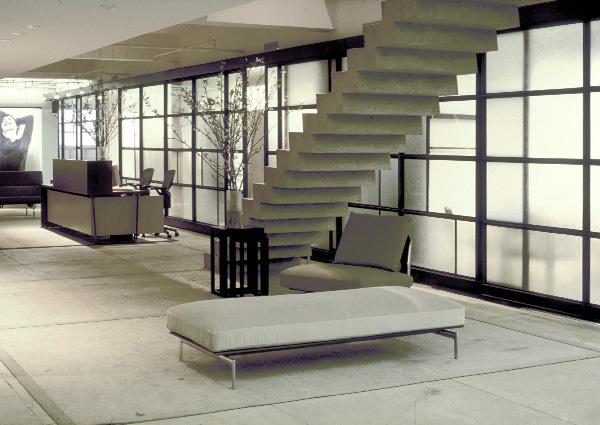 The showroom's spectacular views of frenetic Manhattan and the Hudson River are counterbalanced by the exposed concrete structure and floor. 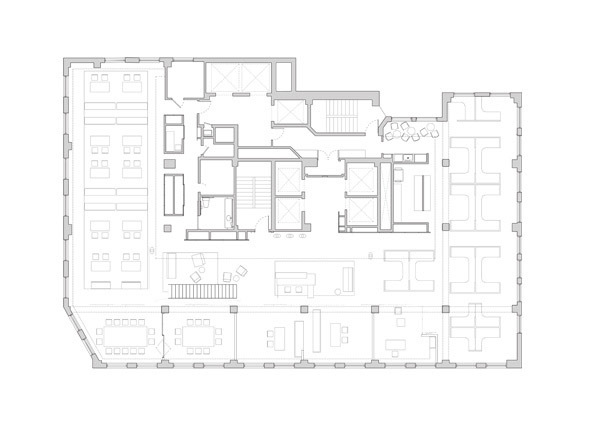 The offices and interactive video-ready conference room along the north exterior wall are read as layers of different spaces against the landscape of city rooftop views. CDR Studio worked closely with the client to implement an environmentally conscious palette of durable, recycled materials that are rich in texture and finish. 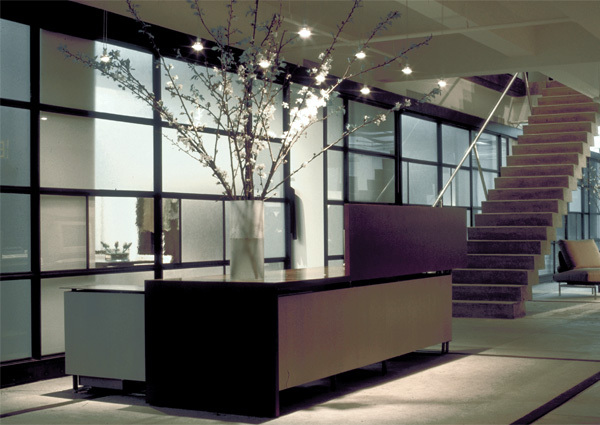 The relationship between clothing display and lighting was critical to the success of the project. Technically, CDR Studio developed a layered lighting system mixing halogen and fluorescent lamps to create a wider visible color range. Flexibility and specificity regarding the illumination needs of the varied programmatic areas called for intensive coordination of the building systems. The new showroom has greatly improved productivity and morale for Ms. Fisher’s core staff. Day-lighting and natural ventilation have saved the client thousands of dollars in operational costs. 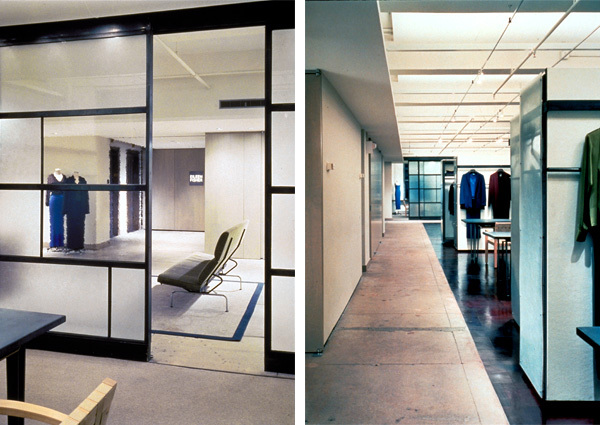 The showroom imparts a sense of dignity and purpose; it gives architectural form to Eileen Fisher Inc.